As home to the Andes mountain range, South America, although you may not know it, has some of the best skiing in the Southern hemisphere. The Andes run down the border between Argentina and Chile. There are a number of excellent ski resorts to visit which are easily accessible. The ski season runs through the southern winter which is June through to early October, a time when tourists and locals enjoy the fantastic slopes that these areas offer. As an alternative to Europe, why not take a week or 2 week skiing holiday to the Andes? At Latin Routes, we specialise in travel to South America and have a fantastic collection of skiing holidays with great deals available for the winter season. Here is a brief summary of some of the most popular resorts for skiing holidays in Argentina. 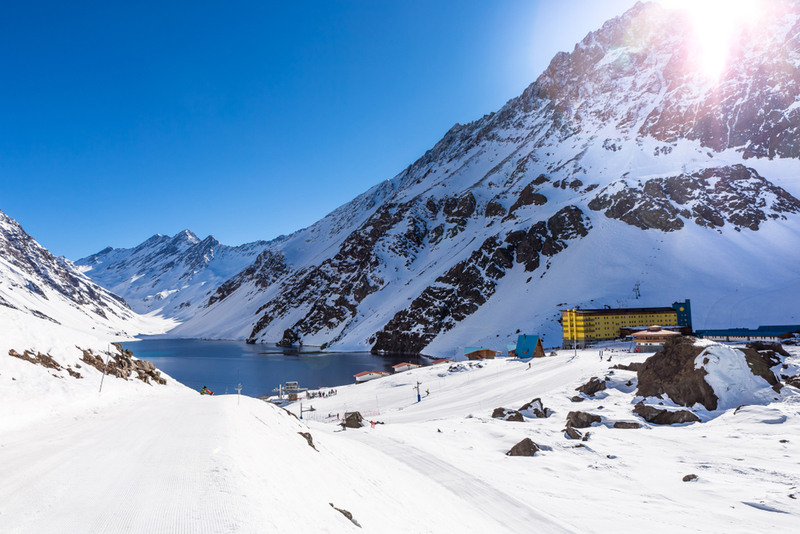 Nestled at the foot of South America’s highest peak, Portillo is Chile’s backcountry skiing mecca and particularly suited to those who like steep slopes, the resort was put on the map when it became the first South American resort to host the World Skiing Championships in 1966. The resort's reputation continued to grow when the 200 kmph barrier was broken here for the first time in 1978. The resorts is synonymous with its iconic yellow hotel. Its high elevation and abundance of dry snow makes for great powder. The resort has a total of 12 lifts which access 22 pistes, it also has an abundance of steep off-piste faces. Heli operations are available to access higher elevations and descents. Valle Nevado was created in 1988 by French business men, taking European Ski Resorts located at the Alpsas model to follow. The Ski resort is located 46 kilometers east of Santiago de Chile. With more than 9.000 hectares of skiable area, it is considered one of the most modern Ski Centers, also suitable for different kinds of freestyle skiing and snowboarding (snowpark with different platforms and jumps, ranging from beginners to expert). An extraordinary resort in the heart of the Andes Mountains Valle Nevado offers access to the largest skiable domain in South America: nearly 7,000 acres. With such a vast amount of terrain the resort caters to all levels of skiers and snowboarders. Valle Nevado boasts 80% sunny days, but because of the resort’s high altitude and orientation the quality of Valle Nevado’s snow remains in optimum conditions. If a skiing holiday in South America is on your bucket list then why not get in touch with one of our Travel Specialists today to get a quote?